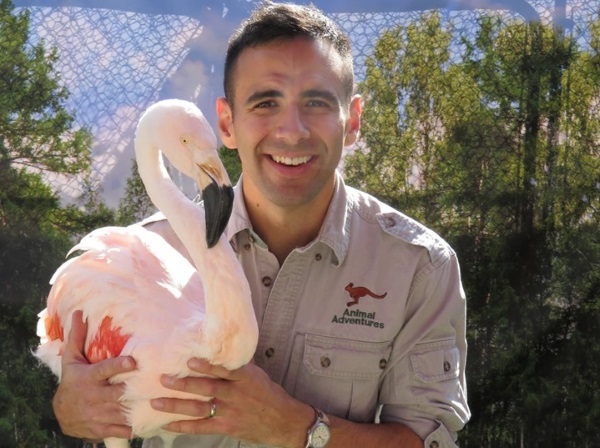 Right from New York: Nature Nick’s Animal Adventures is a fast-paced educational wildlife show. Your audience will be enraptured with delight as they see a 10’ long python or when a Eurasian Eagle owl stretches out his 6’ wingspan! All Shows feature 5-6 trained exotic animals including, but not limited to: owls, falcons, snakes, alligators, foxes, armadillos, turtles, and even a Chilean flamingo! Learn More about Nature Nick! 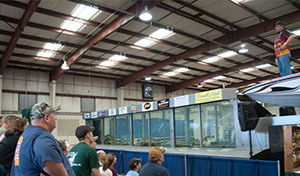 The Hawg Trough is a mobile 5,000 gallon fish tank that is transported to locations around the country as an attraction at boat shows, sportsman expos, fairs, and festivals. Once on location, the tanks are filled with water and stocked with fish. Using the PA system, your guest fishing expert or the Hawg Trough Fish Tank operator can provide periodic seminars and fishing demonstrations for the purpose of education and entertainment of the attendees at the event. 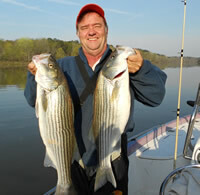 In its 32nd year, the Outdoor With Joey Mines TV show has become one of the longest running outdoor shows of all time. Joey brings a sense of humor and "country charm" to the show that audiences from all around the world can relate to. Seen weekly on The Walk TV, over 93 million households tune in to watch Joey as he interviews local sportsman and takes his audience on the adventure with him. You can meet Joey Mines in the Cantey Building.